"Usually people complain about the safety of their food as I've seen in the past but this rant is regarding their extreme violation of HUMAN and LABOUR RIGHTS," she wrote in the post, which has garnered over 1,800 shares at the time of writing. 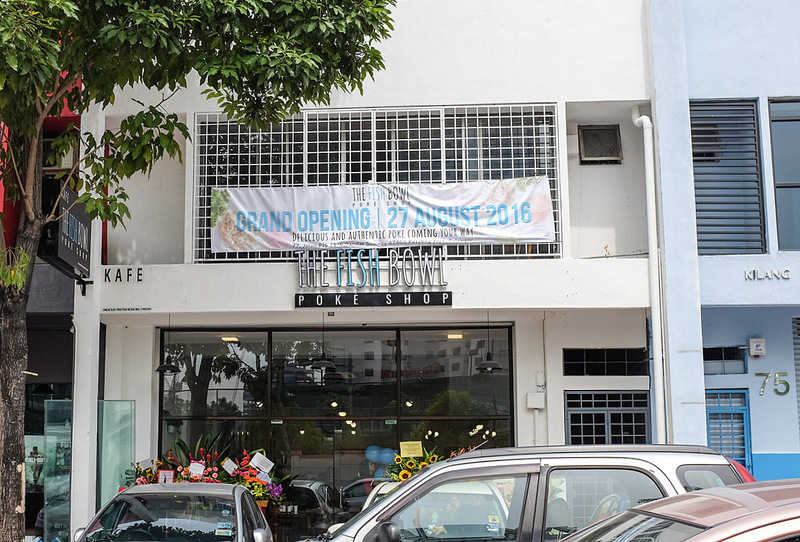 After breaking a lock in order to get inside, he reported the incident to The Fish Bowl's management and offered to deduct the cost of repairing the key from his salary, as RM500 was still due to be paid to him. 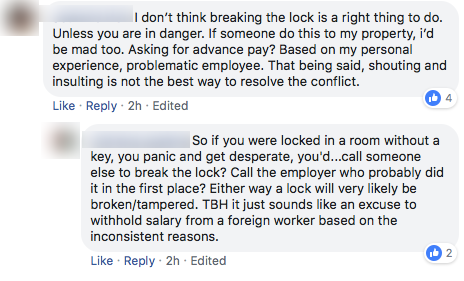 When the man asked his manager when he could collect the remainder of his salary, he was informed that he would not be paid at all as they had to hire a lawyer to resolve the issue of the broken lock. "So he wasn't getting his salary because they had to pay a lawyer to fix the broken lock? Does that make sense? I think not," the netizen wrote. Accompanied by some friends, the man went to meet The Fish Bowl's manager at the restaurant. There, his reason for withholding the former employee's salary had allegedly changed. The manager, who was described as "rude, offensive, and extremely unprofessional," then told the employee that his salary was being withheld until the broken lock was fixed. "So which is it? Legal fees or you haven't fixed the lock? I'm confused," said the netizen in her Facebook post. According to the post, they were then brought into an office where The Fish Bowl's owner and management staff repeatedly called the former employee "uneducated"
They were then told that the man's salary was being withheld for a different reason - it was because he "stole something" from his hostel room. Eventually, the employee's friends were asked to leave the office. "If only you could hear the amount of insults they were throwing at my friend, you'd be disgusted," she wrote. "The reason behind this rant is that foreigners are constantly being disrespected and taken advantage of all because we Malaysians think we have some power over them," she added. In ending the post, the netizen urged Malaysians to "treat others with respect no matter what the situation is." However, several Facebook users have argued that breaking the lock was an unnecessary move on his part. The Fish Bowl has since released a statement refuting the "false accusations" in the post. 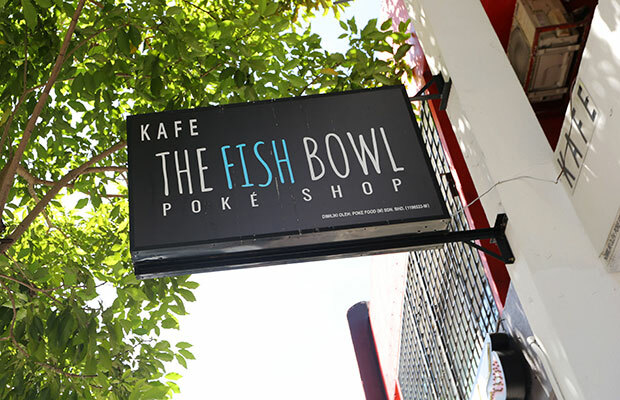 "We treat all employees like family members," wrote the poke shop's founder, Aaron Lim. "I would like to inform that all employees irrespective of their race, creed, or religion, local and foreign alike are treated with utmost respect and equality," he wrote in the post on The Fish Bowl's official Facebook page. He explained that since the employee had yet to inform management when he would retrieve his belongings, "the very act of breaking into the hostel was a security breach and considered a criminal act." While Lim acknowledged that the man in question had notified the management on the broken lock, he said that,"under no circumstances did we utter derogatory words nor stir any form of racial sentiments publicly when addressing the situation." 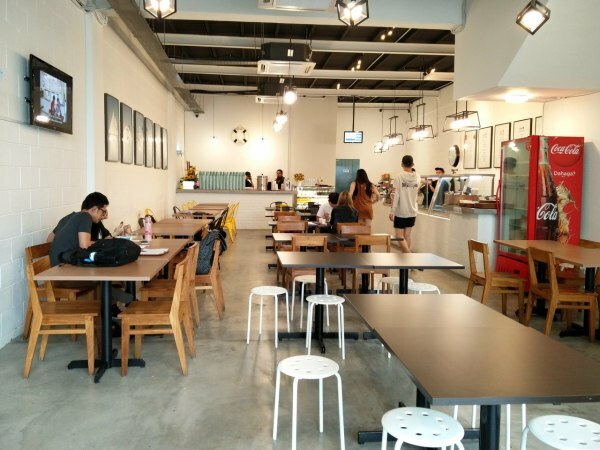 Lim explained that they had "no choice but to lodge a police report" against the writer of the viral Facebook post for tarnishing The Fish Bowl's image. He will also be considering taking further legal actions unless the post is removed and a public apology is made.